Is it really possible for me? ​The Practice of Gratitude changed my life! It can do that for you too! Here are 5 ways that I have personally used to make Gratitude my foundation of transformation. Where you keep you and your business on track! 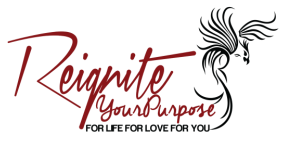 Check out the Reignite Your Purpose Podcast! ​ and to do so with some Passion, some Compassion, some Humor, and some Style!"